A 25 year specialist throughout the Chicago suburban areas, Chris Kravetz assists client's in creating wealth through real estate. With all of the real estate agents in the Chicagoland area, just exactly what makes Chris Kravetz stand out among them all? For over twenty-four years her goal has been to set unparalleled full service. A clients' complete satisfaction is her number one priority in all phases of real estate - from listening to the client's needs to the savvy negotiation skills, to the close of the transaction; she will give you every aspect of the personal service you deserve. Having lived in the northwest suburbs of Chicago, she contines to work throughout the Chicagoland area due to her extensive work with developers. From Downtown Chicago to the equestrian country, ranging from $100,000 to multi-million-dollar homes. As a residential specialist, Chris has access to both buyers and sellers of new developments, as well as pre-owned properties. Whatever home you would like to purchase or sell, work with Chris for the best results. Developers, homeowners, and business people are glad they are acquainted with this "people oriented" agent. Chris is a St. Louis native that came to Chicago in 1973 where she has resided in various towns. Her youth was filled with extra-curricular activities and organizations centered around school, church, and athletics. 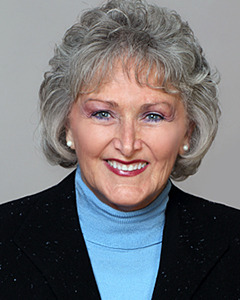 Chris currently enjoys spending time with her grandchildren in Oak Park, traveling, and boating. Call Chris today at 847-867-7990 to create and initiate your real estate plans. "Chris was outstanding very informative kept us up-to-date and everything that was going on and definitely investigated things that were not happening the way they should we would recommend her to anyone who is looking for a home she has the talent knowledge and finesse to help anyone out thank you Chris you were incredibly awesome"